Objective: Test-retest reliability of the myotonometer was investigated in patients with subacute stroke. 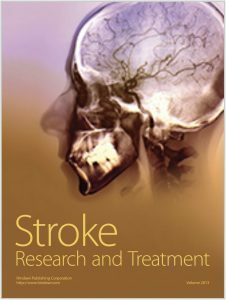 Methods: Twelve patients with substroke (3 to 9 months post stroke) were examined in standardized testing position twice, 60 minutes apart, with the Myoton-3 myometer to measure tone, elasticity, and stiffness of relaxed bilateral biceps and triceps brachii muscles. Intrarater reliability of muscle properties was determined using intraclass correlation coefficient (ICC), the standard error of measurement (SEM), and the minimal detectable change (MDC). Results: Intrarater reliability of muscle properties of bilateral biceps and triceps brachii muscles were good (ICCs = 0.79–0.96) except for unaffected biceps tone (ICC = 0.72). The SEM and MDC of bilateral biceps and triceps brachii muscles indicated small measurement error (SEM% < 10%, MDC% < 25%). Conclusion: The Myoton-3 myometer is a reliable tool for quantifying muscle tone, elasticity, and stiffness of the biceps and triceps brachii in patients with subacute stroke. Our pilot study showed that the Myoton-3 myometer has good intrarater reliability in measuring the mechanical properties of bilateral biceps brachii and triceps brachii muscles with high agreement and low thresholds to detect real changes in patients with stroke. The findings indicate that theMyoton-3myometer is a reliable tool for quantifying the muscle tone, elasticity, and stiffness of elbow flexor and extensor muscles in patients with subacute stroke. Further research with larger and divergent groups of patients with stroke is needed to confirm the findings of our study.